Dehumidification is possible using two possible principles, Condensation with refrigeration style dehumidifiers and Adsorption with desiccant dehumidifiers. Desiccant dehumidifiers perform exceptionally well when used in cooler climates, or when a low dew-point, deep drying or low humidity levels are required. Since desiccant dehumidifiers do not produce water, they will work effectively down to sub zero temperatures. We offer a range of Commercial EIPL Desiccant Dehumidifiers including models DD200, DD300, DD400. Depending on the environment Ebac Desiccant Dehumidifiers can lower humidity to 4%rh. We also supply a Remote Humidistat for accurate control. 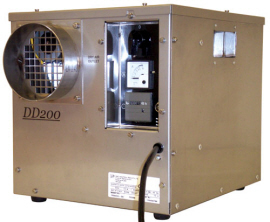 The DD200 is the smallest desiccant dehumidifier within the EIPL range. Its compact, rugged, lightweight design facilitates easy transportation by one person and is easily accommodated within space restricted areas. The unit incorporates a PTC Heater ensuring maximum drying is immediately reached, and constantly maintained while the unit is running. In addition to the hours run meter, which shows the units running time, an ammeter is also incorporated in order to monitor the units drying effectiveness. Manual / Automatic control is a standard feature within the DD range of desiccant dehumidifiers, and a remote humidistat can quickly and easily be connected for automatic operation and control. Manual / Automatic control is a standard feature within the DD range of desiccant dehumidifiers, and a remote humidistat can quickly and easily be connected for automatic operation and control The EIP range of DD desiccant dehumidifiers are all manufactured from a high grade stainless steel, ensuring a rust free product when used in the most sever of applications The spigot connectors allow quick and easy installation All models incorporate a high efficiency patented PPS Rotor. This design incorporates a 82% active Silica Gel to ensure optimum performance over the equipments wide operating range of environments. All desiccant rotors supplied by EIPL are washable, and designed for high performance / long life. Please Note: Save 2.7% on the price if you pay via a Bank Transfer. You may select this option at checkout. 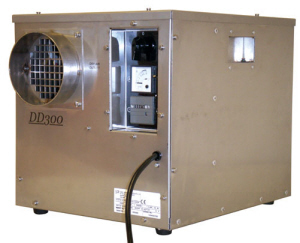 The DD300 desiccant dehumidifier has a compact, rugged, lightweight design which facilitates easy transportation by one person, and is easily accommodated within space restricted areas. 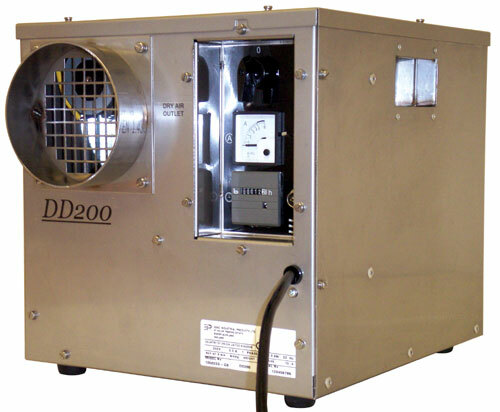 The DD400 desiccant dehumidifier has a compact, rugged, lightweight design which facilitates easy transportation by one person, and is easily accommodated within space restricted areas. The unit incorporates a PTC Heater ensuring maximum drying is immediately reached, and constantly maintained while the unit is running. 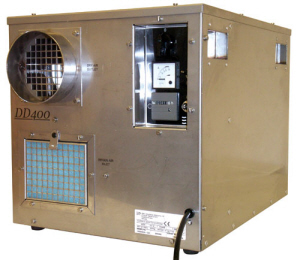 The dual air inlet feature of the DD400, is ideal for installations where the regeneration supply air, needs to be kept separate from the process supply air. 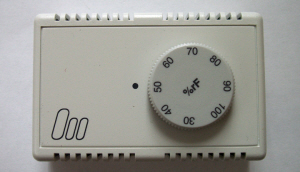 In addition to the hours run meter, which shows the units running time, an ammeter is also incorporated in order to monitor the units drying effectiveness. Manual / Automatic control is a standard feature within the DD range of desiccant dehumidifiers, and a remote humidistat can quickly and easily be connected for automatic operation and control. 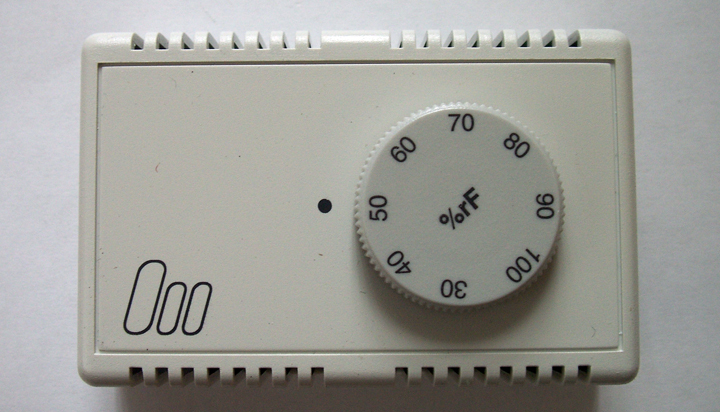 The hygrostat type HG Mini is used as an on-off controller to control the relative air humidity. It can be used to control air humidifiers and dehumidifiers in offices and computer rooms. Other areas of use are storage of foodstuffs and luxury foods, cooling rooms for fruit and vegetables, greenhouses for gardening use, the textile industry, the paper and printing industry, the film industry and hospitals. The hygrostats can be used almost anywhere that air humidity has to be regulated or monitored. The room hygrostat HG Mini-i is designed so that the adjusting knob and the scale are inside the housing. This makes unauthorized manipulation by third parties more difficult.